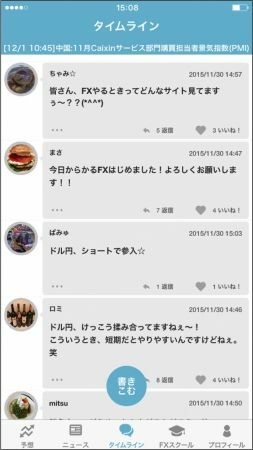 A Japanese Fintech company, Finatext reported that its new app released on December 1, “Karu FX” exceeded 10,000 users. The app was developed by partnering with Yahoo! JAPAN’s forex broker, YJFX!. 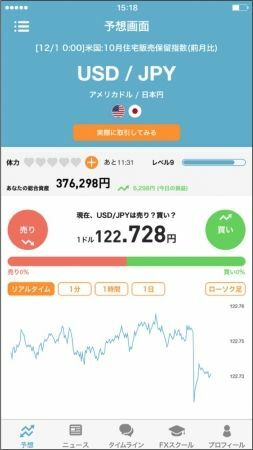 With the app, users can not only forecast forex price movement as though it were a game and do demo-trading but also communicate with other users about forex. For only 18 days since its launch, the number of registered users grows to 10,000. In addition, the daily averaged trades are about 35,000 as of December 16, which explains that the number of daily trades at the Karu FX has being closing to that of mid-sized brokers. According to Finatext, the engagement rate has been solidly rising as some of heavy users use the app more than 8 hours a day. Finatext will plan to utilize big data obtained from Karu FX to apply for algorithm trading from January next year. Finatext is one of the fastest growing FinTech company in Japan as it has successfully operateed “Asukabu” (Stock community app) by collaborating with Rakuten Securities, and just rolled out “Fundect” (trust fund community app) last week by collaborating with The bank of Tokyo-Mitsubishi UFJ.